To add to all of that, by redeeming the codes for all of these packs, you'll also get access to Iron Fist and a bonus Spider-Man Symbiote costume, which are timed exclusives on the PlayStation 4. So, that's a total of 17 of the playable 38 characters, some bonus costumes (which are cosmetic only), 25 Combo Boosts, 2 XP Boosts, and a total of $60 worth of Gs. 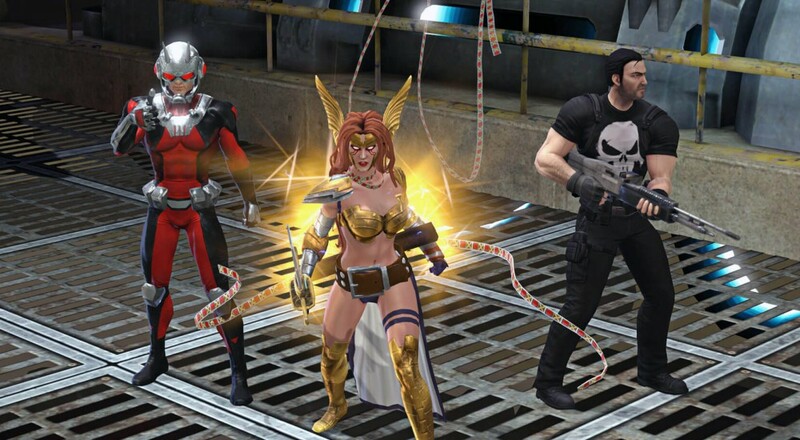 That's a pretty good "head start" to Marvel Heroes Omega, if I do say so myself. Now one quick word about all of this open/closed beta and head start stuff. The closed beta wraps up tomorrow with a progression wipe. This means that everyone who has played thus far will lose all character levels, gear, vendor levels, Eternity Splinters, and anything that can be counted as progression in-game. Any Gs that have been spent will be refunded and any characters unlocked from a Founders' Pack will still be yours. While the open beta doesn't start until next Tuesday, May 23, anyone who owns a Founder's Pack or who has participated in the closed beta at all will be able to get a "head start" this Friday, May 19 starting around 12:00 PM EDT. This means that whoever the lucky winner is of this contest will be able to redeem the codes on Friday and should be able to start playing right away. Not a bad way to spend the weekend! With all of that out of the way, to be eligible to win all of this, all you have to do is click on the button below. You can only enter one time and, again, these codes are for North America only. The contest will end at 12:00 PM EDT, Friday, May 19, 2017. A winner will be chosen shortly thereafter and the codes will be sent their way! Page created in 0.5388 seconds.